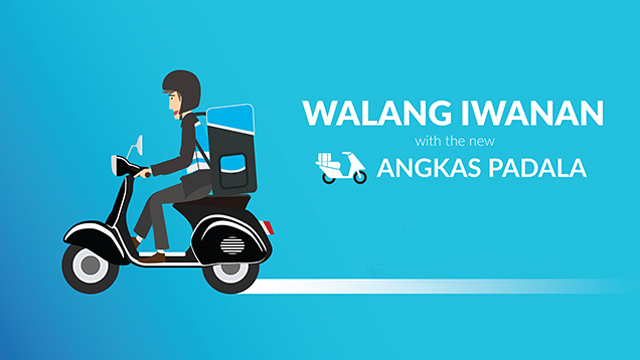 Just days after its dialogue with government agencies, motorbike ride-hailing startup Angkas has introduced a new service called Angkas Padala, signaling its entry into same-day delivery services. On Tuesday, December 19, Angkas launched the beta version of its new mobile application as it posted the guidelines of its services on its Twitter account. “Angkas Padala is a roadside delivery service, where senders and recipients must meet the biker outside to give and receive items,” Angkas Padala’s guidelines read. The base fare of its same-day delivery service across Metro Manila is Php50, while in Cebu City, it’s only Php20. It did not indicate the charge for every succeeding kilometer the drivers would have to take for a delivery to be made. Still, based on Entrepreneur Philippines’ research, these prices are some of the cheapest among app-based couriers. GrabExpress, the delivery service arm of Grab, also has a Php50 base charge for its deliveries under the GrabExpress Lite option. This fare follows GoMoto and Lalamove’s services, both of which have a base charge of Php60. All of the said services accomplish their deliveries through on-demand motorbike drivers. 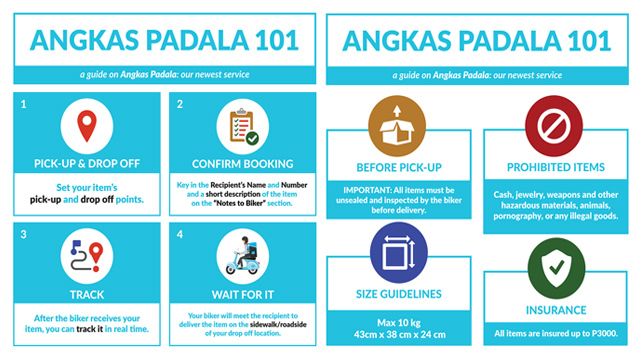 The Angkas Padala drivers may only deliver a package with a maximum weight of 10 kilograms and has a size of 43cm x 38 cm x 24 cm or about the size of a small carry-on bag on wheels. Cash and jewelry are not accepted for delivery. However, all items that Angkas riders deliver are insured up to Php3,000. Last November, Angkas was forced to shut down its operations by the Land Transportation Franchising and Regulatory Board (LTFRB) for lack of a franchise from the regulatory body. The move has put around 15,000 Angkas drivers in limbo as the service’s business model was found to be illegal. Under Republic Act 4136 or the Land Transportation and Traffic Code, private motorcycles and scooters cannot be used to carry passengers.